The Risks & Duplicity In a Referendum on EU Membership. Posted by: Greg Lance-Watkins – Greg_L-W.
.The Risks & Duplicity In a Referendum on EU Membership. 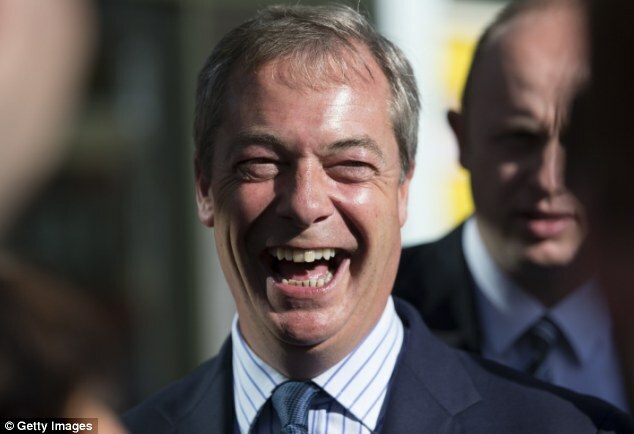 If Dave and his pals are our ‘clever elite’ why does Nigel make them look so stupid? 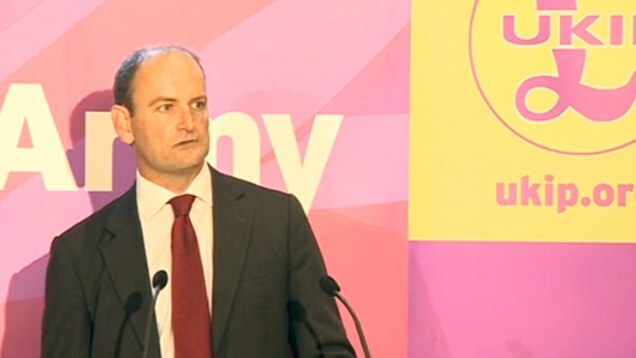 The only interesting things about Douglas Carswell’s switch from the Tory Party to Ukip are that it took him so long and that he has acted alone. Any thinking person has been able to see for years that the Tory Party hates conservatives. It is a roadblock, not a road, championing the elite against the people. It is kept in being only by the BBC and various dodgy billionaires, who provide it with airtime and money out of all proportion to its real support. It has no actual aims except office at all costs. It has no actual policies either, only negative smear campaigns, falsely portraying Ukip as mad Nazis, or Ed Miliband as some kind of Trotskyist loony. The party leader has never pretended to be anything other than he is – the heir to Blair. That is why so much of the Left-wing media prefer David Cameron to Ed Miliband. Mr Cameron’s promise of a referendum on EU membership is worthless three times over. First, nobody can rely on his word after his broken promise to hold a referendum on the Lisbon Treaty. Second, Mr Cameron could not win a Westminster majority in 2010, and there is even less chance of his doing so next May, as he well knows. He could promise paradise and be sure he would never have to deliver it. Third, does anyone seriously think that a referendum on EU membership could be or would be conducted fairly in a country whose main source of news is the BBC, and whose whole media establishment is pro-EU? As I write, I have in front of me the sad relics of the 1975 referendum on the same subject. I had a narrow escape. I had meant to vote to stay in. But I voted ‘No’ (to leave) after my officially impartial local newspaper delayed a story I had written on the eve of the vote because it would have harmed the ‘Yes’ campaign. Months of brainwashing were cancelled out by this sharp personal experience of the ‘Yes’ campaign’s instinctive and necessary dishonesty. If it didn’t lie about its real aims, it would never get any support. The whole thing was rigged from the start (as Mr Cameron’s would be). There are no laws to stop this. In 1975, the state used taxes to pay for and send out two pamphlets urging a ‘stay in’ vote – one from the Government and one from the ‘Yes’ campaign’ – but only one from the ‘No’ campaign. Read them now and the ‘Yes’ material is often dishonest drivel, including a false claim that the threat of economic and monetary union ‘has been removed’. Not exactly. The ‘No’ pamphlet, by contrast, is prophetic and truthful. But in 1975, nobody foresaw that the EU would one day abolish British passports and force us to throw open our borders to legions of low-paid workers from the former communist bloc. Nor could they have known that the EU would be aggressively fomenting a new war with Russia, using our money to do so. Brussels distributed more than £300 million of taxpayers’ money in Ukraine between 2007 and 2013. It went to all kinds of lucky recipients, so it is no great surprise that Kiev blossomed with EU flags last winter during the violent mob putsch which so many idiots in the West supported. They were generally the same idiots who supported the ‘Arab Spring’, and so helped plunge Libya and Syria into a sea of blood and fire, and to launch ‘Islamic State’. Now these idiots are well on the way to starting the biggest European war since 1945, and are busy blaming Russia for having the effrontery to defend itself against this blatant aggression. It really is time that we understood that those in charge of this country have no idea what they are doing. Even Nigel Farage has more of a clue about how the world works than our supposedly clever elite. And yet those who could make a difference still cling to the Tory nurse for fear of finding something worse. Well, what could be worse than bankruptcy, uncontrolled mass immigration and war? Sadly based upon my own experience and research on this subject I incline to agree with Peter Hitchen’s comments on this issue. However I would draw your attention to the fact that David Cameron did NOT promise a referendum on the EU’s new constitution subsequently renamed, for the purposes of obfuscation, The Lisbon Treaty – his promise of a referendum for the British peoples was duplicitously promised based on the condition that the treaty had not been signed when he came to power; a promise he must surely have known would never have to be honoured! You will also note that Nigel Farage and his cult followers in Ukip made virtually no effort to oppose the Lisbon Treaty in Britain or Brussels prior to its being signed; many will recall Farage spent his time swanning around in Ireland aiding associates, seeking to gain the backing of Declan Ganley it seemed; sheltering behind their claim that the Tories were doing the work to oppose it – They were not! There is every reason to believe that even without direct lies from the largely self serving political elite in Britain it is likely that ignorance on the part of the electorate and biased media coverage using innuendo and F.U.D. would ensure that Britain would vote for its own continued destruction – just as there is every possibility the Scots will vote for their own destruction with a Yes vote injust a few days time, on the 18-Sep-2014. Sadly the concept of ‘One man one vote’ in a so called democracy most clearly leads automatically to ‘Rule by The Fool’! Hitchens clearly chooses to overlook just how easy it is to look good as a showman and populist when pandering to the lowest levels as a critic in opposition with a huge budget funded by the tax payer to the tune of £Millions! It is an entirely different matter when one has to act with measured gravitas and actually represent ones country on an accountable basis with its downside risks! number witheld calls are blocked & calls are recorded.